Sherry Camhy's work has been exhibited at the Israel Museum, Parrish Museum, New Orleans Museum of Art, the Telfair Museum, the Aldrich Museum of Contemporary Art, Katonah Museum, and the Hammond Museum. She has been the subject of reviews in in ArtNews, Time Out New York, American Artist, Fine Art Connoisseur, and International Artist. Her book Art of the Pencil: A Revolutionary Look at Drawing, Painting and the Pencil was published by Watson-Guptill in 1997. She writes the “The Material World" column for Drawing and is a reviewer for Fine Art Connoisseur. 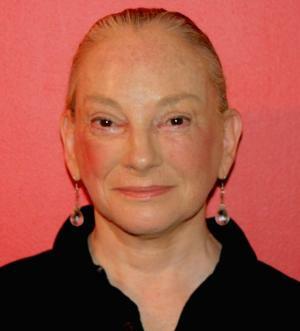 In 2013 she curated The Silverpoint Exhibition at the National Arts Club. In addition to offering instruction privately and teaching workshops at New York University, the School of Visual Arts, and the New York Academy of Art, she is on the faculty of the Art Students League where she teaches Painterly Drawing. Her website is www.SherryCamhy.com. Ephraim Rubenstein was born in Brooklyn New York in 1956. He received his BA in Art History from Columbia University and his MFA in Painting from Columbia University's School of the Arts. In addition, he attended classes at the Brooklyn Museum Art School, the National Academy School, and the Art Students League. Rubenstein just had his eleventh one-person exhibition in New York; seven at the Tibor de Nagy Gallery, one at Tatistcheff & Co., and three at George Billis Gallery in Chelsea. He has exhibited, as well, at the National Academy of Design, the Butler Institute of American Art, the Virginia Museum of Fine Arts, and the Maier Museum of Art. His work is represented in numerous public and private collections, including the Metropolitan Museum of Art, Exxon Corporation, and Deloitte & Touche. 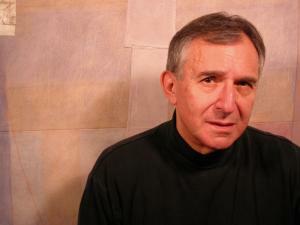 Rubenstein was Associate Professor of Art at the University of Richmond from 1987 to 1998, where he received the Distinguished Educator Award and the Outstanding Faculty Award from the Commonwealth of Virginia. He has taught at the Rhode Island School of Design (RISD), the Maryland Institute College of Art (MICA), and the National Academy of Design School. He is currently on the faculty of the Art Students League of New York, where he teaches the Literature of Art Seminar and Life Drawing, and at Columbia University, where he teaches Life Drawing in the Department of Narrative Medicine. For more information, visit www.ephraimrubenstein.com. Thomas Torak is a modern master painter working in the classical tradition. His paintings are known for their breadth and luminosity, rich color, and lively brushwork. He studied at the Art Students League with Robert Beverly Hale and Frank Mason and began teaching portraiture and figure painting there in the fall of 2008. He has won gold medals from the American Artists Professional League, Audubon Artists, and the Academic Artists Association, and a silver medal from Allied Artists of America. 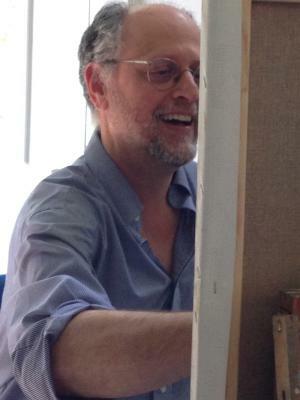 He teaches Painting from Life and Portraiture at the Art Students League. You can see his paintings on his website and read his thoughts about the art on his blog Dammi I Colori. 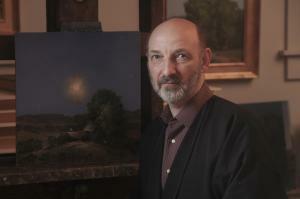 Born into an artistic household, Jerry Weiss studied drawing with Roberto Martinez in Miami, Florida, and drawing and painting with Harvey Dinnerstein, Robert Beverly Hale, Mary Beth McKenzie, Ted Seth Jacobs, and Jack Faragasso at the Art Students League and the National Academy in New York City. He has had numerous one-man exhibitions in museums and galleries, and his portraits, figures, and landscapes are represented in public, private, and corporate collections, including the Boca Raton Museum of Art, the New Britain Museum of American Art, Brigham and Women's Hospital, The Harvard Club of New York, the Connecticut State Capital Building, and the University of North Carolina at Chapel Hill. Weiss was awarded the Isaac Maynard Prize in the National Academy of Design's 159th annual exhibition and the Julius Hallgarten Prize at the 167th annual. He was also awarded a Fellowship for Painting by the New Jersey State Council on the Arts. 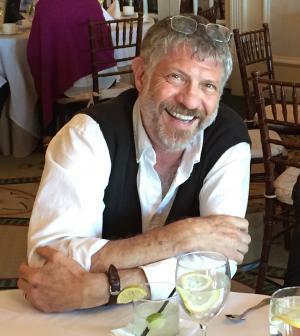 Weiss has written features for The Drawing Magazine, and is a contributing editor for The Artist’s Magazine, for which he writes features and the "Master Class" column. He is represented by The Cooley Gallery in Old Lyme, Connecticut and Portraits, Inc. Weiss has taught and lectured at art schools and art associations in Colorado, Connecticut, Florida, Maine, Massachusetts, New Mexico, New York, and Washington, and was an instructor at the Lyme Academy College of Fine Arts for fifteen years. He currently teaches Painting and Drawing from Life at the Art Students League of New York, as well as intensive workshops there and in other venues around the country. For more information, visit www.jerrynweiss.com.